If you’re operating on twentieth century infrastructure, it’s time to upgrade. Even if your communications systems were installed in the last decade, the rapid rise of more robust and flexible telecom solutions has made copper analog and digital lines obsolete. QCC’s VoIP technology brings your business into the future of telecommunications today. Voice over Internet Protocol technology transmits voice communications over your data network. Signals can be transmitted anywhere your network allows, regardless of the physical distance between employees. This allows your business to operate under one unifying communications backbone, even if your workforce is spread throughout the world. For growing businesses, VoIP allows you to expand without continually updating and replacing expensive infrastructure. 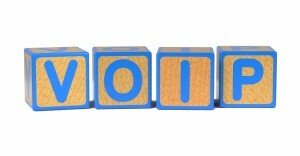 As you grow, your VoIP grows with you, saving you money, time, and effort. With Session Initiated Protocol, or SIP, you can maintain phone numbers as your business expands, without expensive routing fees that carriers typically charge. By eliminating these fees, you can maximize your business costs. Contact our experts today to learn how VoIP services can help your business thrive with cutting edge communication. If you’re searching for VoIP solutions in Washington D.C., Maryland, Virginia, Pennsylvania, and other surrounding areas, contact us today at 410-517-5000 or 888-888-4113.